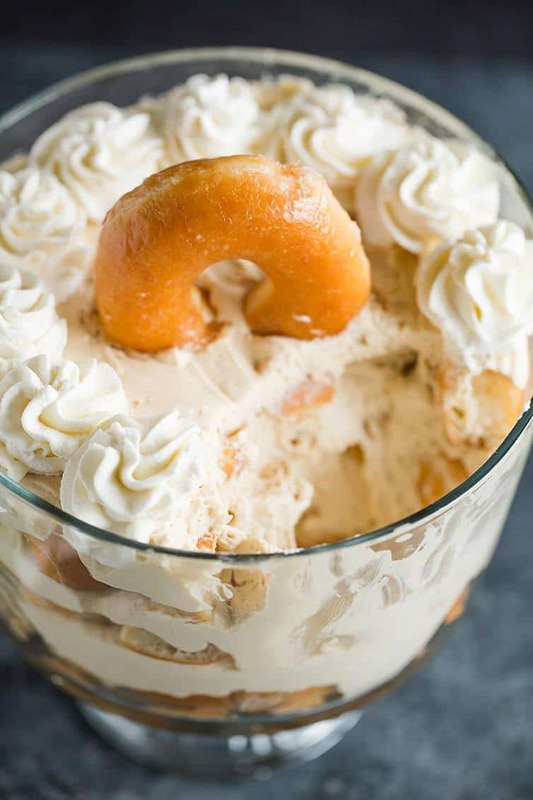 This easy coffee and doughnuts trifle features layers of Krispy Kreme Original Glazed® doughnuts and a mocha whipped cream – perfect for brunch or dessert! This recipe is sponsored by Krispy Kreme. This week feels a little bit like holiday limbo, doesn’t it? When Thanksgiving is super early and you get that extra week before Christmas, and Thanksgiving was already a week ago, but it isn’t even December 1st yet… how soon do you jump into your holiday baking and shopping? I definitely feel slightly less stressed than I do when Thanksgiving is super late, but I’m ready to churn out all of my favorite holiday treats! I think we can all agree that once Thanksgiving is over, everything feels RUSHED and CRAZY and I already feel weeks behind on Christmas cards and shopping just writing that sentence! 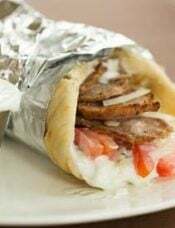 Which is why I am always, always, always an advocate of stashing away some super simple recipes that are both delicious and perfect for serving a crowd or last-minute company. Enter this crazy good Krispy Kreme-inspired coffee and doughnuts trifle! One of my all-time favorite easy dessert hacks is the trifle. 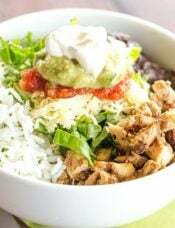 Everyone loves it, you can feed a ton of people, and the flavor combinations are literally endless. I had a few trifles here and there growing up, and one of the first holidays that I spent dating my husband, his mom made a crazy good trifle with chocolate cake, whipped cream, toffee bits, and I’m pretty sure there was coffee liquor in there. It was AMAZING. I’ve done carrot cake trifles, pumpkin gingerbread trifles, berry trifles, tiramisu trifles, Irish cream trifles… and now a Krispy Kreme-inspired coffee and doughnuts trifle! Those flavors just flat out go together, am I right? Coffee and doughnuts. Peanut butter and jelly. Bagels and cream cheese. Match made in heaven. 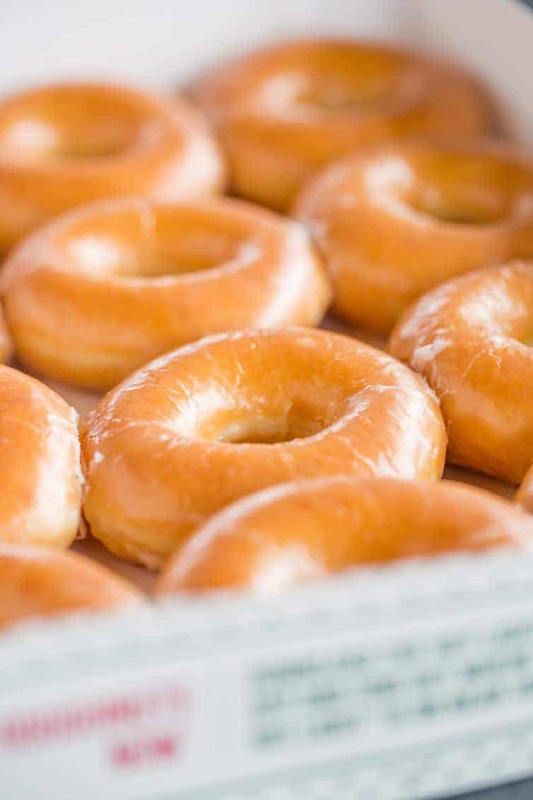 My husband is in love – LOVE – with Krispy Kreme Original Glazed doughnuts. 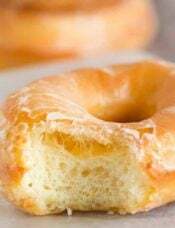 He even has the reheating down to a science (8 seconds in the microwave), so when I was given the opportunity to create an easy holiday recipe using Krispy Kreme doughnuts, I couldn’t wait to get started. 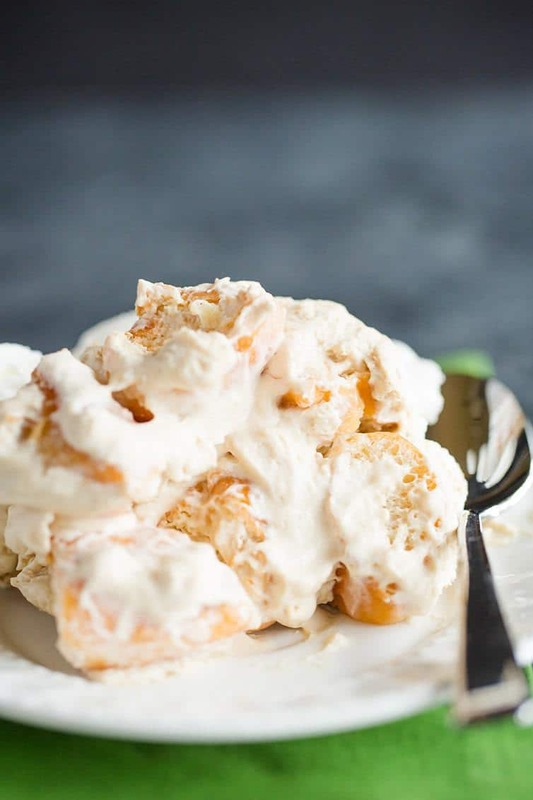 One of the first things that came to mind was the combination of coffee and doughnuts, and I think a trifle is one of the easiest desserts to put together for company or a holiday get-together, so… a coffee and doughnuts trifle! I layered chopped up Original Glazed doughnuts along with a stabilized mocha whipped cream and the result is a seriously sublime dessert or addition to brunch. 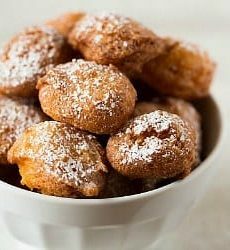 I’d love to hear about your favorite holiday or dessert hacks for those days when you need something quick but still want to impress your guests! Thank you so much to Krispy Kreme for partnering with me on this holiday recipe hack. Also, I got to check out their new 2018 Wall Calendar! 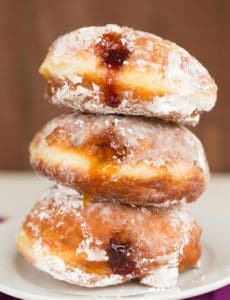 It’s filled with delicious recipe ideas developed around the Original Glazed doughnuts and lots of fun coupons to use every month (click here to find a shop near you that has it). For more recipe inspiration, visit www.krispykreme.com/recipes. This easy trifle features layers of Krispy Kreme Original Glazed doughnuts and a mocha whipped cream - perfect for brunch or dessert! Make the Mocha Whipped Cream: In a small bowl stir together the vanilla extract and instant espresso powder until it has dissolved. If there are still clumps or granules, microwave for 5 seconds and stir again until smooth. In a large mixing bowl, add the cream cheese, sugar and vanilla/espresso mixture. Beat on medium speed with a whisk attachment until smooth and completely combined, about 3 minutes. Slowly add the heavy cream, scrape the sides of the bowl, then increase speed to medium-high and whip until stiff peaks form. 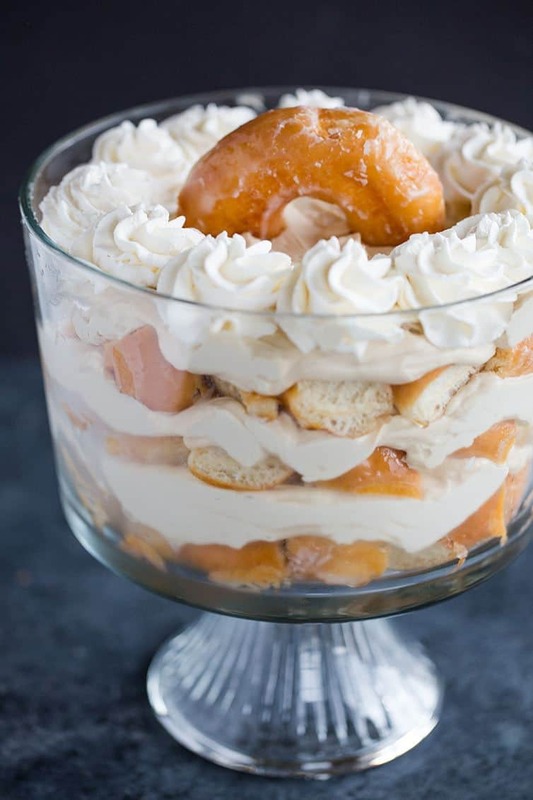 Assemble the Trifle: Add one third of the Original Glazed doughnut pieces to the bottom of the trifle bowl, then top with one-third of the mocha whipped cream. Repeat those layers two more times, ending with a layer of mocha whipped cream. Refrigerate until ready to serve (the trifle can be made up to a day in advance of serving). 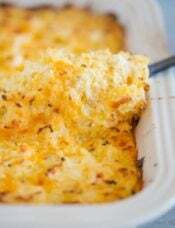 Allow to sit at room temperature for at least 15 minutes prior to serving. You can use your favorite Krispy Kreme doughnut variety for this trifle. I have had this trifle bowl for ages and love it! Kreme donuts near us. Will Dunkin Donuts work? My family will go crazy for this! Combining donuts and trifle with those flavors – what a brilliant idea. I need to do a trial run on this recipe before Christmas and I’m sure everyone will want to eat it more than once during December! It looks delicious and I love how easy it is. Oh my gosh! My daughter is a cop and loves doughnuts. lol I have to make this. Thank you. P.S. 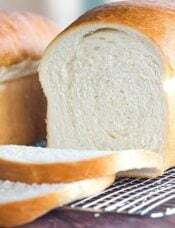 your white bread recipe is very good. The mocha whipped cream sounds delicious! I was trying to think of other ways I could use the whip cream. I love coffee and a warm glazed donut. Thanks for this simple dessert option. Looks so good! There’s nothing better than coffee & donuts. I thought mocha included chocolate, is it missing in the ingredients? Or is this just coffee flavored whipped cream, hence the name “Donuts and Coffee”? Either way is sounds delicious!! Hi Jackie, It can be either a reference to high-end coffee beans or the combination of chocolate and coffee. You could certainly add some cocoa powder if you want a punch of chocolate flavor! Shame on you Sandra! Not everything needs to be from scratch and gourmet to be on a baking blog. Not everyone always has time for that. An easy last minute dessert is an amazing idea and a good thing to keep in your back pocket for the days you need to pull together a quick dessert. I think Michelle does and amazing job of trying to balance homemade food with the realities of real modern day life. While I love the homemade food she posts, I can appreciate the occasional kitchen shortcut for those slammed days that she shares. Well, yes, you COULD cut up Twinkies and put them in a bowl with Cool Whip and call it a trifle. 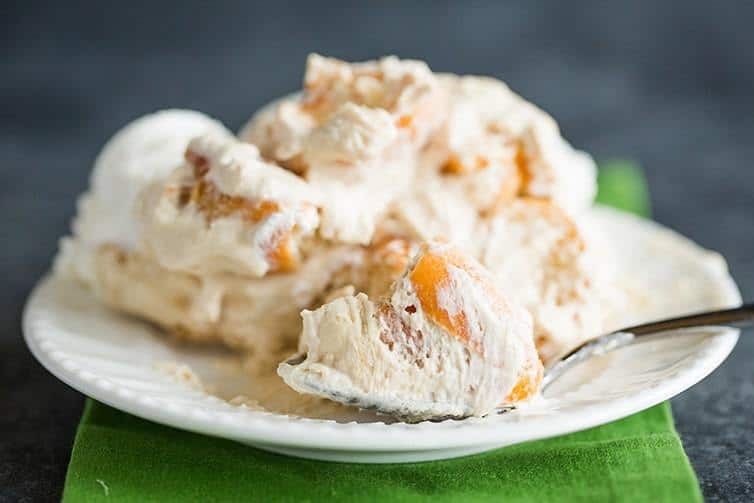 Many trifles start with store-bought ingredients like angel food cake or pound cake, as they are often times used as a quick and easy dessert option. I obviously enjoy making and sharing totally homemade and from scratch creations, but I also sometimes use shortcuts in my actual life and I’m sure many others do too, so I occasionally share them here. I think it’s just a reality of real life that you don’t always have time to make something from scratch but you have company coming over and you don’t want to pull a cake out of a box, you want something that will look nice and presents well, but doesn’t take very much time. 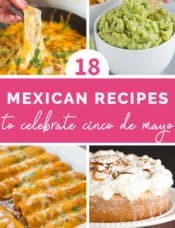 I think I have something here on the site for everyone, so definitely take a look in the archives if you’re looking for something to make from scratch – there are hundreds (if not thousands) of those recipes! Well said! There is something for everyone on your site. I personally think this is a great way to level up simply bringing in donuts for my colleagues. Looks great! Ugh on the coffee part though! Not a fan. I think that I will make mine just a Doughnuts Trifle. Thanks for the great recipe! Hi Kathleen, You could definitely leave the espresso powder out if you don’t like coffee; it would still be delicious! Thanks Natalie! Definitely a great holiday option!